We are now on the last day of the workshop and there is a bit of sadness in the air as several people are leaving tomorrow but the fact we still have a day of diving left means lots more photos! Highlights of todays dives are flambouyant cuttlefish, giant frogfish, a coconut octopus with a collection of shells, and pygmies galore. After lunch Matt presented a talk about developing photos in Lightroom, which followed on with his talk about the importing process from day 2. After the third dive of the day everyone gathered their best shots from the week and handed them in for the final slideshow. After a great dinner with a BBQ chicken and shrimp satay feast, we had another milestone dive cake, 500 dives for Dmitry! After dinner all 12 students gathered upstairs along with the rest of the people at the resort to watch a great slideshow of images from everyone who participated. We had over 150 images submitted and the slideshow was very entertaining for everyone with some killer photos submitted. After a couple of concluding speeches from Matt, Mike, and Lael the beer came out along with some very interesting stories to top off the night. We would like to thank all 12 participants of our photo workshop: Andreas, Peter, Koy, Kit, Roy, Jennifer, Dmitry, Eliana, Jovin, CC, Margaret, and Lael for joining us on this workshop. We are glad that everyone was able to learn a lot about underwater photography and we hope to see you all again soon! 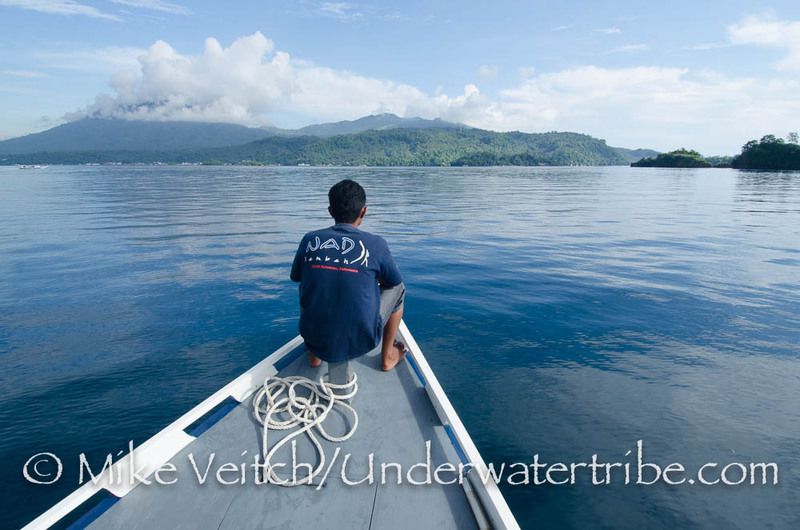 Matt and Mike switched boats today in order to start diving with the other half of the group. We all headed out to the north end of the bay and ended up having a pygmy seahorse extravaganza. 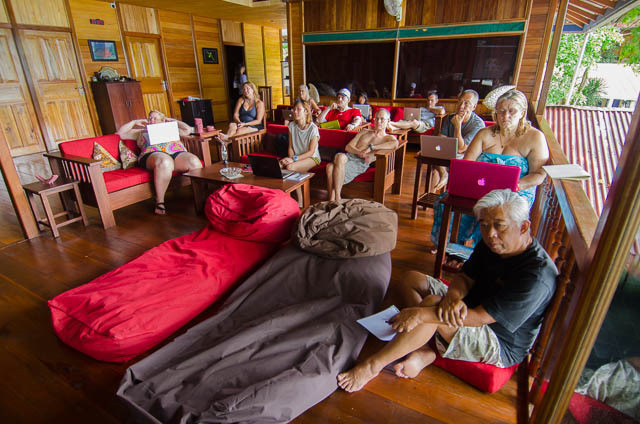 Matts group saw bargibanti, denise, and pontohi pygmies all on the same dive! Mikes group had to make due with a very pregnant looking denise of the dark red variety. 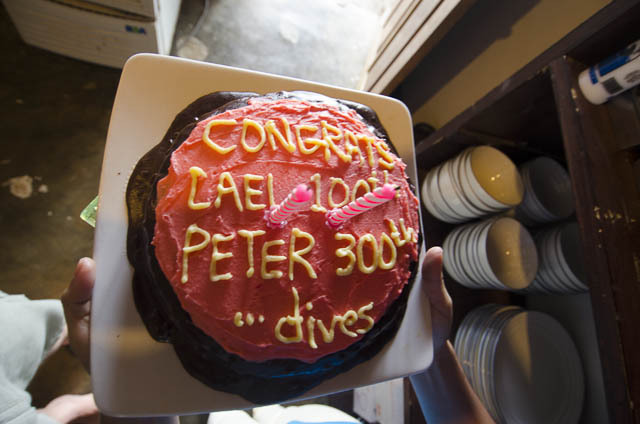 During lunch we had a little celebration for two of the group, Lael who made her 100th dive and Peter who made it to 300, congrats to both of you! After the cake it was time for Mike to discuss Composition techniques and present a slideshow of images discussing different ideas. We had one heck of a rain shower just as we were jumping in for the third dive of the day which made things a little dark, but that’s ok, perfect opportunity to shoot macro black backgrounds! 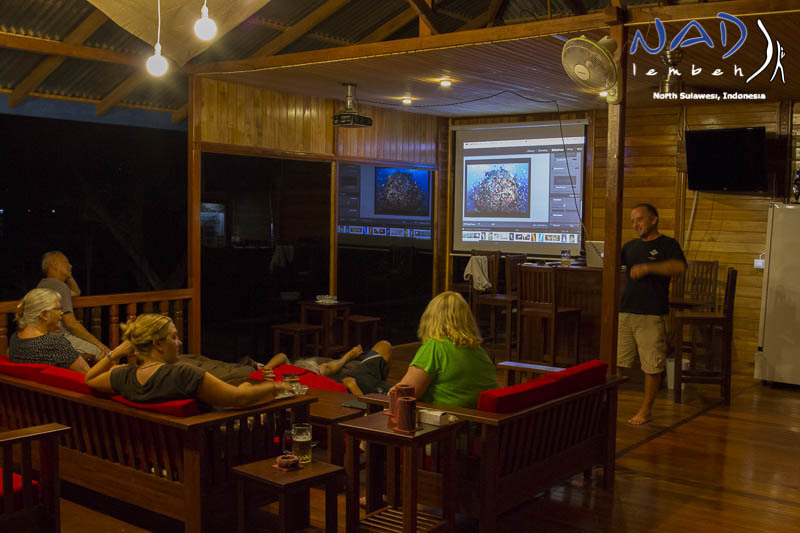 Dinner was followed by a slideshow from Matt who presented some of his all time favourite images to the crowd, and it was one heck of a slideshow of beautiful images from all over the world. 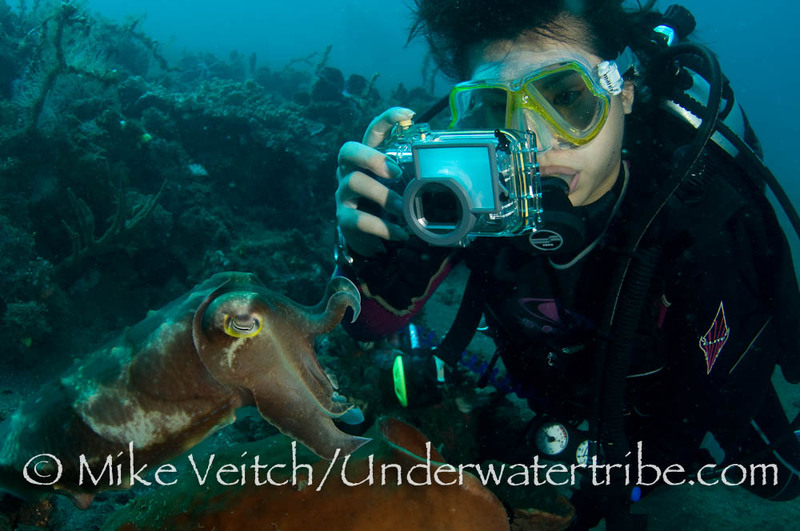 Tomorrow will mark the last day of diving for the workshop but several lucky folks will continue on for a few more days of diving. We are looking forward to a slideshow of images from everyone tomorrow night to showcase the variety of critters that everyone has captured on camera.